Click here to see the full GMA SHRM Event Calendar. • THANK YOU to our chapter administrator and volunteers from the Communications & Marketing Committee for the fantastic job on creating our new GMA SHRM website. We have received so much positive feedback on it already. We’ve also moved the new website look into other chapter communications such as the monthly newsletter and weekly e-blasts. I’m very impressed with how the volunteers on this project took the time to research other sites and metrics to come up with something that would be a great fit for our membership. “Effective Use of Technology” is one of our four strategic initiatives this year, so look for more enhancements in the coming months in this area. • The Education and Professional Development Committee has been busy this year, notably in its relationship with our supported student chapters – UW-Madison, UW-Platteville, and UW-Whitewater. This year the student chapters have asked for our assistance with their programming events. In particular, they are looking for our ideas on programming topics and for speakers to present these topics at their chapter meetings and events. We have a small list of GMA SHRM members who have volunteered so far, but we could use more. I know many of you have outstanding knowledge on a variety of HR topics that would be a great asset to share with student chapters. If you’re interested, contact Robyn Berth at BerthRL08@uww.edu. • The Membership Committee has launched a new Membership Referral Program and has expanded our Pay It Forward Program to recent graduates. Check out the website for news on both programs. • We are in the midst of offering our biennial Benefits Survey. If you are looking for great regional data on a variety of trends in benefit offerings and programs, the GMA SHRM survey can’t be beat. There is an easy-to-find Surveys icon on the right side of our website where you can purchase the survey and access other information on GMA SHRM Surveys. • The 2011 Corporate Partnership Program is in full swing as well. If your organization is looking for strategies to promote its products or services to the HR community, or just wishes to support our chapter, you will find more information, you guessed it, on our website. • Finally, I found an interesting article on workplace flexibility in the national SHRM Government Affairs newsletter (SHRM HR Issues Update – October 14, 2010). Besides the focus and resources SHRM is putting behind this issue, I liked how the article links to a blog written by SHRM on The Huffington Post and to a SHRM advertisement in the business community built on the “We Know Next” campaign. It was great to see the SHRM brand outside of normal HR channels. Reading the blog, I was impressed to see how SHRM gets involved with many industry groups on work/life balance, including a SHRM-sponsored summit attended by President Obama. I also really like the presentation of the We Know Next ads, which was a main reason why we chose the “HR Next” theme at our Human Capital Conference this past May. The concept adds valuable credibility to the work we do every day. Please check out the article, blog, and advertisement when you have a moment. As we head toward a new year with plans for our organization and professional careers, I have no doubt that the many things going on at GMA SHRM will continue to provide value to all of our members. Look for more updates not only on our website but in the many other chapter communications and events taking place throughout the year. The Government Affairs Committee is excited to announce that David Lusk, Senior Associate, Member Advocacy with SHRM Headquarters will be presenting a program in Madison on November 16th. The program titled SHRM Advocacy Team: Shaping HR Public Policy, will be held immediately following our regularly scheduled November GMA SHRM Summit. The SHRM Advocacy Team program is preapproved for 1 hour of Strategic Credit by HRCI. Click here for more information on the November 16th SHRM Advocacy Team: Shaping HR Public Policy presentation. Click here for more information on the November 16th GMA SHRM Summit, Unemployment Benefits: How to Make Your Case and Work with the DWD. The 2010 GMA SHRM Benefits Survey is now available for purchase. This comprehensive survey is conducted every two years. The 2010 data was collected between May and July of this year. An amazing 64 Madison area businesses participated in the survey. The 2010 Benefits Survey provides data on how Dane County employers are building and customizing their benefit packages. The survey questions cover wellness and reward programs, PTO programs, and traditional benefits such as medical and dental. 21% of the total payroll cost is spent on employee benefits. Domestic partner coverage increased 8.5% from 2008 (32.1%) to 2010 (40.6%). High deductible plan offerings have increased 8.2% from 2008 (19.2%) to 2010 (27.4%). The results were compiled from survey questions developed by enetrix, a Gallup company, and distributed to companies in all business classifications. Businesses and organizations interested in purchasing the survey may do so by visiting http://gmashrm.enetrix.com/. A number of governmental agencies have released new guidance for the Patient Protection and Affordable Care Act (PPACA). The various lawsuits brought against the federal government continue to move forward. Recognizing the immense obstacles faced by employers trying to meet the new 2011 W-2 reporting requirement, the Internal Revenue Service (IRS) is providing interim relief under Notice 2010-69. Employers will not be required to report the aggregate cost of employer-sponsored coverage on 2011 Form W-2's. The IRS anticipates issuing guidance on the reporting requirement before the end of 2010. With the massive reductions in force in recent years, companies, and their HR professionals, are seeing a greatly increased incidence of survivor guilt within their workforce. Survivor guilt follows any experience in which friends and loved ones have suffered trauma that the survivor could also have experienced. Survivors often feel they let their loved ones down and are unworthy of having survived. Direct, constructive coaching or workplace bullying? To the employees involved and to an outside observer, it is usually pretty clear when bullying occurs. Bullying is a major problem in workplaces all over the world. A recent study estimated that approximately one in six U.S. workers had directly experienced bullying within the previous year. The Greater Madison Area Society for Human Resource Management (GMA SHRM) has established a student scholarship program to encourage the continual pursuit of an education in the human resource field. Two nonrenewable $750 student scholarships will be awarded this year to students from our affiliated student membership chapters at UW-Madison, UW-Whitewater, and UW-Platteville. Applications are due December 3, 2010 and scholarships will apply to the Spring semester. Click here to learn more about eligibility requirements and application instructions. Click here for further information and resources. On Tuesday, October 12th, the UW-Madison Student SHRM Chapter hosted a "We Need to Talk" Event on campus. HR Professionals from the local GMA SHRM chapter volunteered their time to facilitate different scenarios that students might encounter during their careers. The volunteers were Kris Schmitt, Samantha Pegelow, Diane Mosley, Wendy Brendel, Trevor Nagle, Paul Kotz, and Sara Broge. The students were able to discuss scenarios such as interoffice relationships, missing supplies, and smoking. Both students and professionals saw the evening as a beneficial learning experience as well as a great opportunity to network. The student chapter hopes to host this event again in the future. Thank you to all the volunteers! If you are interested in volunteering for future events, please contact Sara Broge at sarab@adtecservices.com to be placed on the volunteer list. Would you like to meet other solo HR practitioners to discuss your challenges and share ideas and solutions? November’s HR Roundtable provides an opportunity explore some of the unique challenges and opportunities presented by being an HR office of one. This session will provide solo HR practitioners with the opportunity to discuss specific topics and issues and encourage sharing of knowledge, ideas, strategies, lessons-learned, as well as practical tips, tools, and techniques. At times it may not be the most time-efficient for a solo HR practitioner to re-invent the wheel when working on projects/strategies. This is where colleagues can glean from their peers on best practices that work for their companies and this is one of our objectives for this Roundtable. Have you struggled in the past with Unemployment Insurance responses and/or hearings? Now you will have the opportunity to obtain guidance and insight, and have your questions answered directly from the Wisconsin Department of Workforce Development (DWD). For our annual Government Affairs Summit on November 16, 2010, GMA SHRM is pleased to announce our featured guests: Barbara Bohringer, Staff Development Coordinator, and Ann Marie Molitor, Sr. Administrative Law Judge. These subject matter experts from the DWD will speak about the Unemployment Insurance adjudication, appeals and hearing processes and address our questions and concerns. To learn more about the event or to register, click here. GMA SHRM is proud to announce its new Membership Referral Program! It’s easy to participate, simply encourage your colleagues, students, customers, vendors, and others to join GMA SHRM and enjoy the same great benefits you do! As a GMA SHRM member you already know that our organization offers support, resources, and opportunities to network with other human resource professionals in the greater Madison area. Now is your chance to be rewarded for sharing that enthusiasm for our organization and let your colleagues see for themselves that a GMA SHRM membership is an invaluable resource for their profession. To find out more about this program click here. Is your organization looking for strategies to promote its products or services to theMadison-area HR community? Consider the opportunity to reach out to area HR professionals through the Greater Madison Area Society for Human Resource Management (GMA SHRM)! The GMA SHRM chapter is one of the largest in the United States. By partnering with GMA SHRM, you will have a year-long opportunity to reach out to over 800 HR professionals representing more than 500 employers. We are currently offering Corporate Partnerships for 2011. There are a variety of Partnership levels to suit your budget. Click here to see the benefits of becoming a Corporate Partner. Sign up now through November 12th to secure your spot! Volunteer GMA SHRM members will be following up through October on our time-sensitive annual opportunities. We encourage anyone with interest to contact Missy Roth (mroth@milios.com) or Shaun Thomson (SThomson@dcpcinc.org) to sign up for your Partnership spot for 2011. Opportunities throughout the year on a limited basis (first come, first-served). Annual Human Capital Conference Sponsorship. This annual, day long event in May is a great opportunity to reach local HR professionals. Click here to learn more about these options. Where do you currently work? UW Credit Union, Organizational Development Coordinator – My focus is on developing the Credit Union’s workforce and building organizational talent. I work with management and staff to evaluate the training and development needs of employees. How long have you been in the Human Resource field? I have been in my current role for three months. This is my first role in the Human Resource field, although I have been employed with UW Credit Union for almost 9 years. Before joining UW Credit Union’s HR team I was a consumer loan underwriter focusing on underwriting vehicle loans, second mortgages, employee loans, and unsecured loans. Prior to that, I was a Financial Specialist responsible for establishing member relationships and advising members on accounts and services to meet their needs. Which of your career accomplishments makes you proudest? 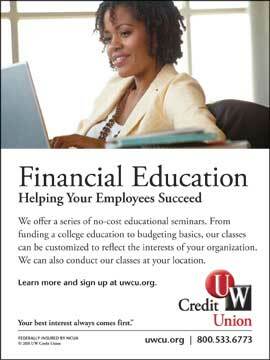 I assisted with the design, implementation, and delivery for one of UW Credit Union’s core lending training classes. I was involved with this before joining our HR team, and it is great that I still get calls about lending questions from employees. I feel that I was able to make a positive impact as a trainer, and will continue to do so in my new role. Why did you decide to join GMA SHRM? 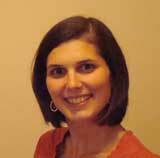 Being new to the HR field, I wanted to have the opportunity to attend toolbox sessions and other event offerings. I am anxious to learn about different areas of HR, and know that this knowledge will help me to grow in my career. I also look forward to meeting new people and making new connections. What is the focus of your position? If you’d like to be featured in the Member Spotlight in an upcoming issue of HR InTouch, please e-mail Dawn Koopman at dkoopman@musicnotes.com . Visit the GMA SHRM home page to participate in the poll! Do you have a burning HR question that you’d like to see featured on our GMA SHRM Member Poll? If so, please submit your questions to Jake Siudzinski at jakes@qstaff.com. Come join our GMA SHRM Chapter group on LinkedIn! What is LinkedIn? It’s a business-oriented social networking site that can be used to connect with friends (old and new), find or post jobs and get information. In order to join, sign in at www.linkedin.com and keyword search GMA SHRM Chapter. GMA SHRM welcomes the following members who joined our chapter in September of 2010! What’s Cool in HR in the Greater Madison Area? What’s going on in HR in your workplace?